1.4 acres in Sandy Springs! Welcoming 2-story foyer leads you to a light-filled LR, DR & FR w/ frplc that opens to kitchen boasting rich cherry cabinets, island w/ sep cooktop, sunny eat-in area, built-in desk and granite countertops. Sought-after sunroom with brick accented wall leads to the entertaining deck. Guest suite on main. 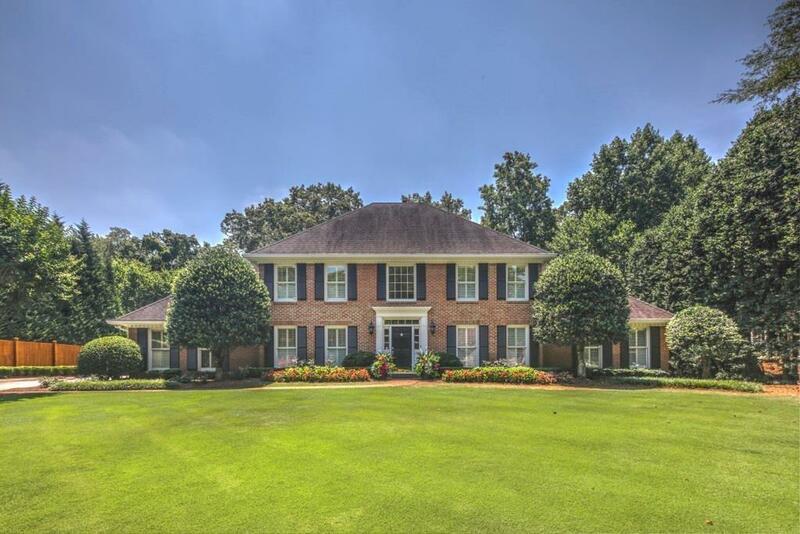 Master w/ room for sitting area; gracious bath w/ lg walk-in closet & built-in shelves. Expansive terrace level w/ rec room, family room w/ brick fplce, office & bdrm/bath, direct access to covered patio and backyard w/ area for outdoor fun! Directions: From Buckhead Take Northside Dr N, Right On Cameron Glen Dr, Left Onto Cameron Ridge Or From I-285w Take Riverside Drive Exit 24 To Left On Heards Ferry, Left On Cameron Glen Dr, Left On Cameron Ridge.